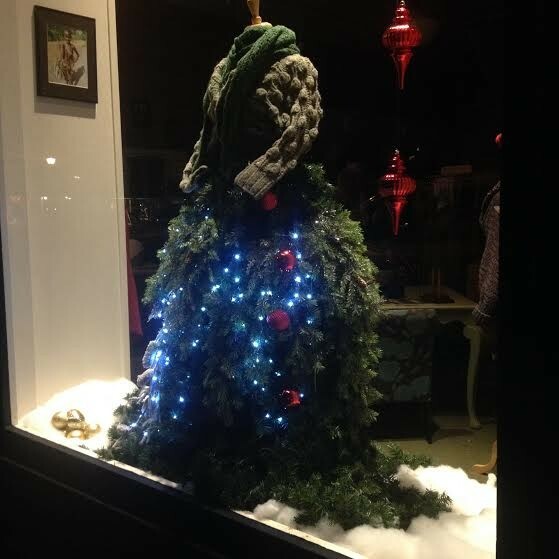 The Knittery's Christmas tree dress is so pretty. Maybe she can stay a little longer? Your dear old Christmas tree wants to go back to the good green earth it came from. Come, compost! Come, energy! So get on it, before Valentine's Day smooches in to mock you and your tree. You can drop your tree off for recycling at one of the places listed below, or call for curbside pickup. Mind the deadlines! Arcata High School students will pick your tree up curbside through Jan. 18 ($10). Call 822-8325. Arcata High School students will pick your tree up curbside through Jan. 18 ($15). Call 822-8325. Humboldt Waste Management Authority Transfer Station, 1059 W. Hawthorne St., through Jan. 12 (free); no commercial trees. Curbside pickup by Recology, Jan. 2 and Jan. 9 ($5). Call 44205711 for appointment. City’s Barn, Francis Street, through Jan. 9 (free). Eel River Disposal curbside pick-up ($12 per tree). Call 725-5156.